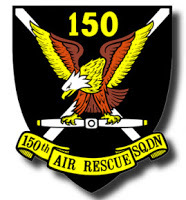 Squadron 150 meets Thursday evenings from 1930-2100 (7:30-9:30 PM) at the Los Alamitos Joint Forces Training Base in Los Alamitos, California. Meetings are typically held in the CAP Group 7 Headquarters Building located at 3976 Constitution Avenue. Special events may require our meeting in alternate venues-and we may choose to not meet during holidays, so you are advised to check on the regular blog page and on our Facebook page for more information if you're planning on attending one of our unit meetings. If you are visiting for the first time, we recommend that you plan on arriving by 7:15pm so that we have some time to welcome you before the meeting begins. Please also plan on staying a few minutes after the meeting so that we can make sure to answer any questions you might have about serving in CAP. Be advised that Los Alamitos JFTB is an active military installation and you will need to show proper picture ID to the guards at the front gate. Let them know that you are visiting the base for the purpose of attending the Civil Air Patrol meeting. Please be aware that your vehicle may be subject to search; the speed limit while driving on base is 25 MPH and it is strictly enforced by Federal law. 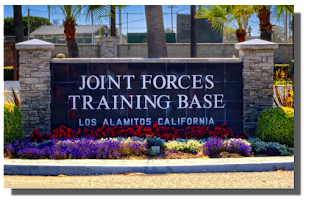 Please note that cell phones may be operated while driving aboard the base only if a hands-free device is employed.